Looking for promoting affiliate products via social media sites? If Yes, This guide will help you lot to get more sales. 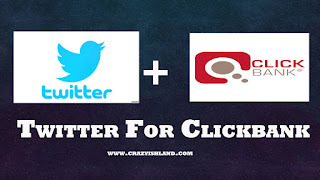 On this post, I will show you, how to use twitter to promote your Clickbank products. 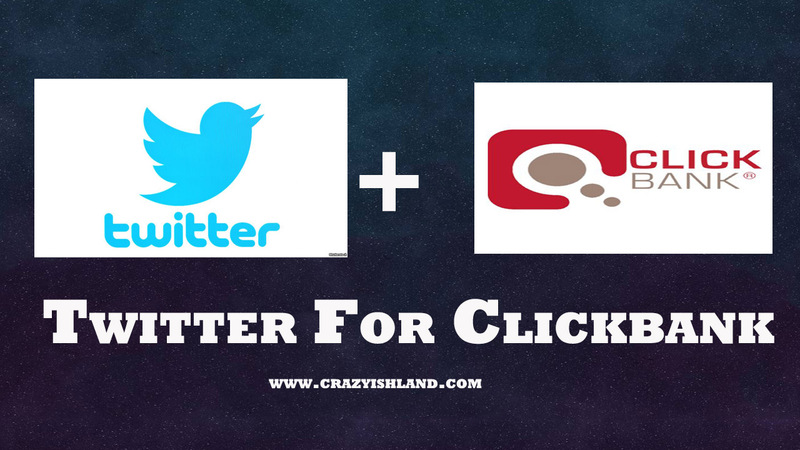 Before moving to the tips, let me give you some introduction about both Clickbank and Twitter. Twitter is one of the world largest social media site on the internet. There are millions of daily active users use this social media platform for their day to day activities. As a marketing tool, Twitter is a great platform for digital marketers. You can use Twitter to drive traffic to your website or blog. Affiliate Marketers use this site to promote their affiliate products. Clickbank is one of the biggest affiliate networks which contains thousands of affiliate products. You can select any product to promote and you will receive commissions for every product you were sold. You only to do it, just register in the Clickbank and choose the products which you like to promote. They provide a hop link to crack your sales. You can use this hop link as your affiliate link. If you want to use Twitter for a long time, first you have to build an audience around your twitter account. So, if you are a newbie to twitter, follow more people in your niche. Let’s assume you want to promote health-related products, So, what you need to do is just think about who are the people buy my products. Then you can decide which people I should follow. According to my experience, 40% of the followings follow you back. You can follow up to 5000 people with a single account. I recommend you to do this continuously until you get your first 1000 followers. Don’t follow too much within a single day. 50-100 is enough. Remember to don’t follow more than 25 people at the same moment. To build a big audience you need to stay active and work hard. You can easily find trending hashtags on Twitter. Use these hashtags with your tweets. You can select products according to these trending hashtags. You can use Bit.ly to shorten Clickbank hop links. You can send a welcome message to every new follower of you. This can make automatically with Crowd Fire App. I would recommend using this autoresponder tool. There are many autoresponder tools on the internet. Use your affiliate link with those welcome messages. This is a good trick to reach target people to your Clickbank products. To get more sales via Twitter, you need to be active in this social media. Tweet regularly and publish engaging images and videos related to your niche. This will make you more engagements. I would be recommended you to make a list of tweets including your Clickbank products. Then, you can tweet them every day with different trending hashtags. When you active in twitter you will automatically receive more followers. So, these are our working tips to promote Clickbank products on Twitter. If you have a website or blog related to affiliate products I would recommend to read this guide to drive a lot of traffic via Facebook. You can use these tips to promote products in Amazon.com like any other affiliate networks.